During the Antarctic summer, there is constant daylight. This means that there is no "lights off" signal to stimulate the secretion of melatonin in the saliva and cause drowsiness to take over in the evening, which is what normally happens to a person exposed to regular day-night rhythms. What is the effect of permanent daylight on our sleep cycle? Can physical activity compensate for the lack of darkness? Members of BELARE 2007-2008 have volunteered to become guinea pigs during their stay in Antarctica for an experiment being conducted by the Vrije Universiteit Brussel (VUB). Dr. Nathalie Pattyn, who works at the VUB and the Royal Military Academy (RMA), has two doctorate degrees: one in psychology and another in the social and military sciences. Working jointly on behalf of the Department of Cognitive and Biological Psychology of the VUB and the Department of Behavioural Sciences of the Royal Military Academy, a total of four scientists will investigate the influence of physical activity on regulating the sleep-wake distribution of people exposed to constant daylight. The protocol of the study, entitled "Circadian Rhythms, physical activity and their influence on sleep-wake regulation during an Antarctic summer expedition," was elaborated in collaboration with the International Polar Foundation. Several members of the BELARE 2007-2008 expedition have volunteered to dedicate one hour of one day each week to the experiment. 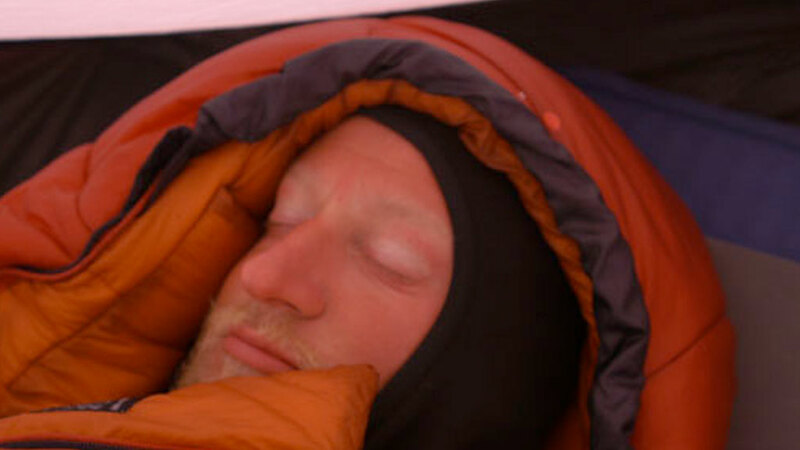 The hypothesis of the study is the following: Expedition members might experience sleep distortions, which could be the consequence of a change in the circadian (daily) cycle, caused by the "disturbing" signal of being exposed to constant daylight. The objective behind this study is to draw up a list of observed changes and to see to what extent physical activity influences the sleep-wake regulation in a person exposed to daylight 24 hours a day. Circadian rhythms: 24-hour cycle in the physiological processes. This rhythm is endogenous in nature (controlled by an internal biological clock), but uses external cues, such as light and exercise, to frequently adjust itself to the rhythm one is exposed to in the environment. It can be measured by body temperature (T° diminishes at night) and melatonin secretion (melatonin secretion increases at night). Temperature cycles will allow circadian rhythms to be measured. Melatonin secretion (part of the system that regulates the circadian cycle and the sleep-wake pattern) should provide information on the "pressure" circadian sleep exerts on the body. Sleep architecture, measured through polysomnography, will show whether a quantitative or qualitative change appears in the sleep patterns. Additionally, various questionnaires will lay down the experience of the people having taken part in the experiment with respect to the quality of their sleep. Throughout the expedition, the investigators will also study the influence of physical activity on sleep (physical activity increases sleep pressure) with readings taken by an actigraph. The various members of the expedition will each have very different chores depending on the member's role in the group. These different chores will require varying different levels of physical effort (eg: building versus cooking and keeping up the living spaces). Given that physical activity is also a determinant factor in homeostatic sleep pressure, it could compensate for the absence of the normal circadian sleep pressure. In other words, expedition members that take part in highly physical activities should experience fewer negative consequences from the constant daylight. Given the extreme circumstances one is exposed to during a polar expedition, excess stress can also exert an important influence on sleep. In order to take this dimension into consideration and to determine the influence stress has on sleep, complementary studies will be conducted. Questionnaires will have to be completed by the volunteers, the amount of cortisol secreted in the saliva will be evaluated and the activation of the autonomic nervous system will be measured both when the subjects are resting and through an attention test. A similar project has been submitted to the European Space Agency to be conducted during an Antarctic overwintering at the French-Italian Concordia station. The aim is to study what happens to people under similar conditions when there is no sunlight. The Concordia station project could be funded by BELSPO, the Belgian Federal Science Policy office, should the ESA decide to implement it. This would allow investigators to cross-examine and compare the data collected in the two opposite environments. The present study follows up on previous research carried out by the Sleep and Performance Laboratory and on Dr. Pattyn's study on "activation of the autonomic nervous system and performance." Dr. Pattyn hopes that the objective measurements gathered from this current study will allow "a better understanding of the interaction between the two processes responsible for sleep-wake regulation," namely the S-process (homeostatic sleep drive) and C-process (circadian regulation). Conclusions of this study will be available by October of 2008. What is the effect of permanent daylight on our sleep cycle? Can physical activity compensate for the lack of darkness?